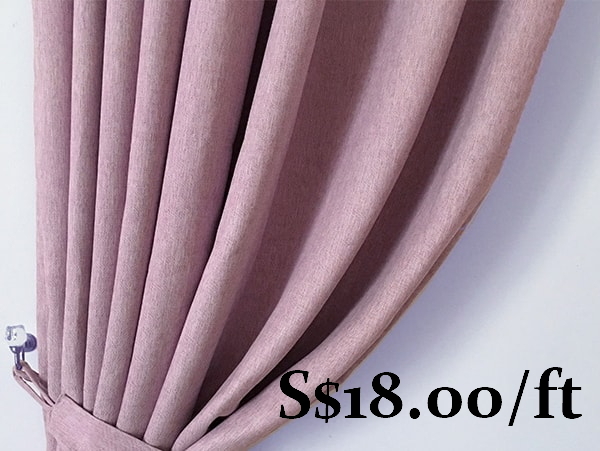 Smooth quality blackout curtains in 15 colours. 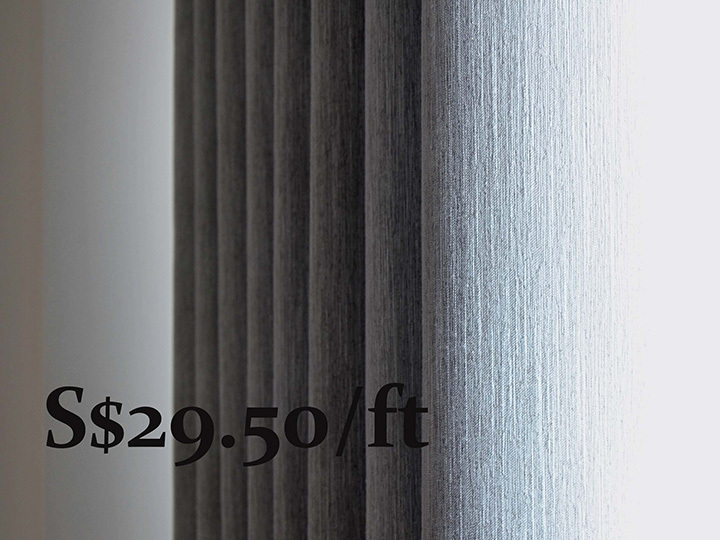 This is the top selected curtain textile to be placed in bedrooms, due to its high degree of blackout intensity. Autumn leaves, we all enjoy the colors of autumn leaves. The changing fall foliage never fails to surprise and delight us. 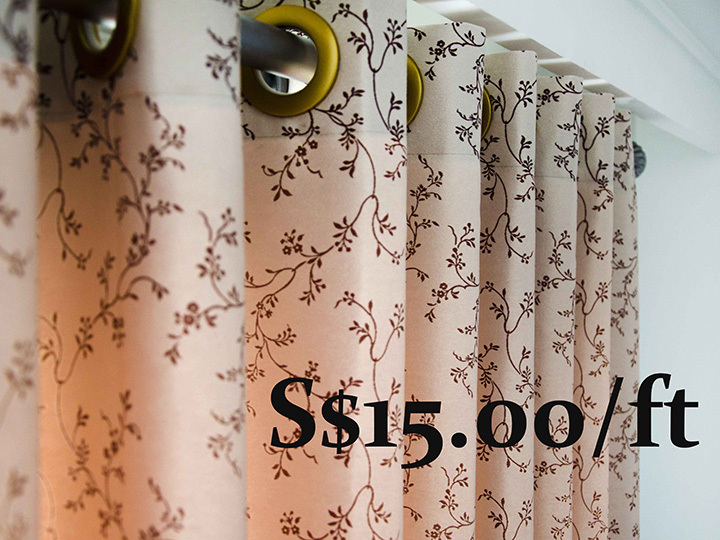 This curtain brings you the beautiful scenery home and delivers the feel of autumn in a city of constant summer. In Ming's Living, we emphasize excellent quality again and again. 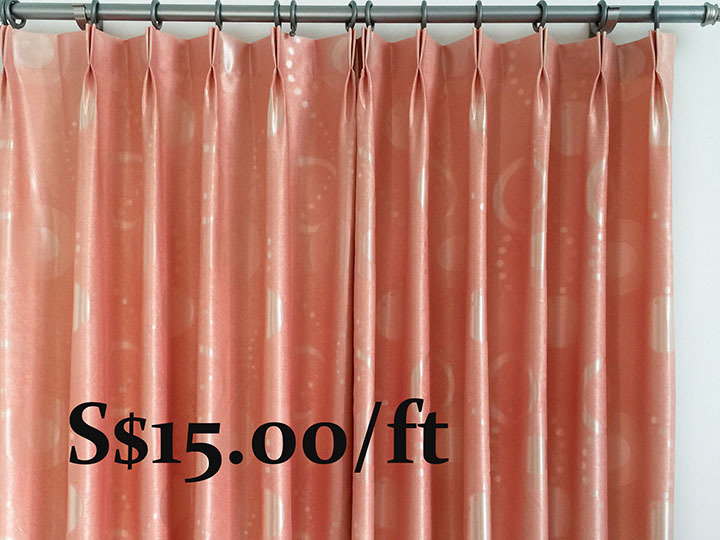 This is a curtain that truly expresses our emphasis. Touch the textile and you will agree with us. 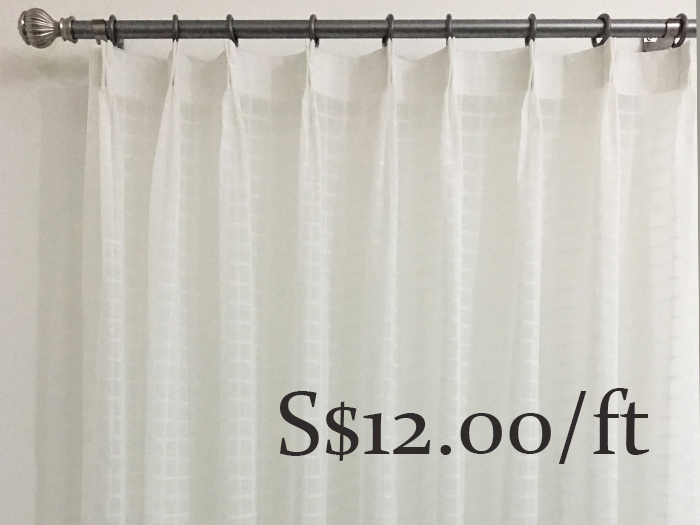 Plain white shower curtain with different sizes. 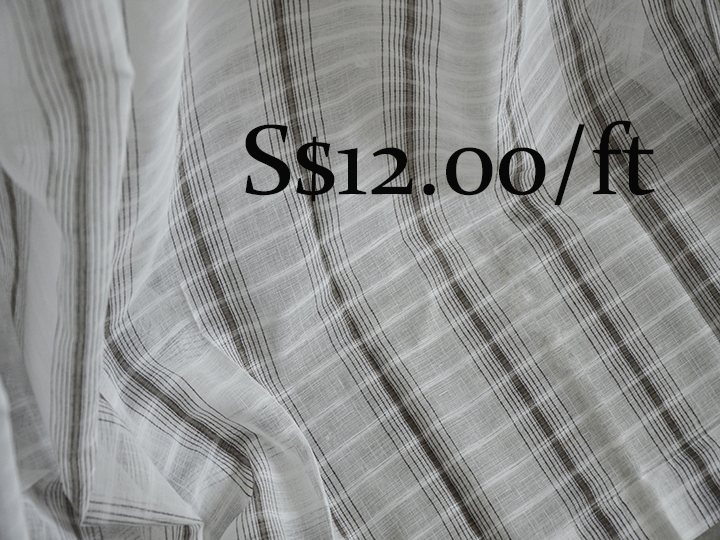 Extremely soft curtain texture, no other textile can give more coziness than this. 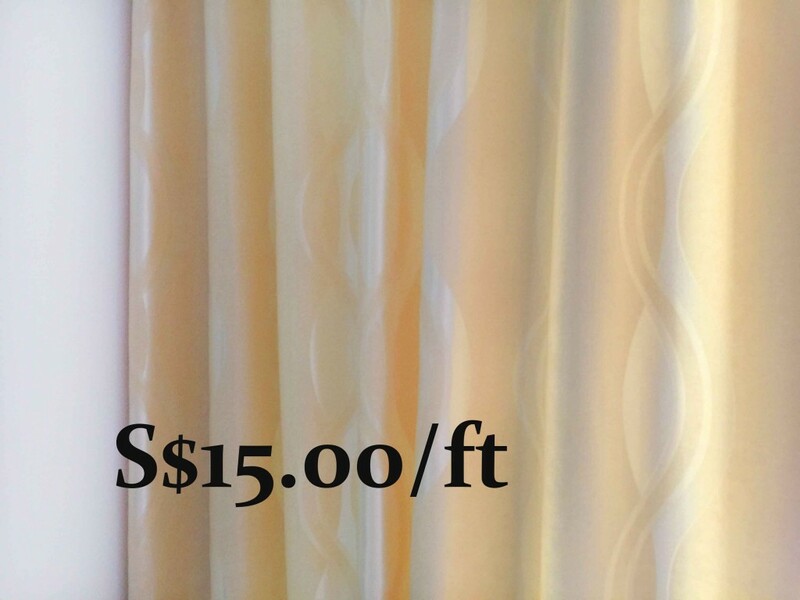 Always been looking for a curtain that makes surprises me with its texture and colour. This must be the one. New technology employed in dying and creating patterns for this textile. The end product is just AMAZING. 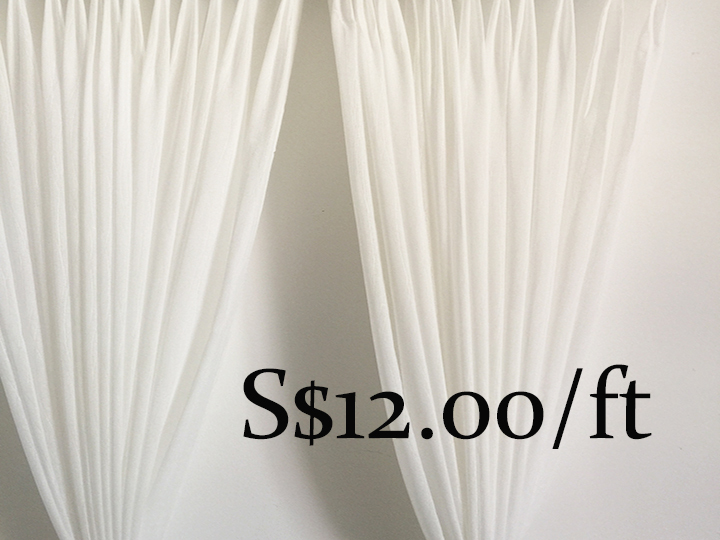 Three colour cotton texture sheer curtain / day curtain. 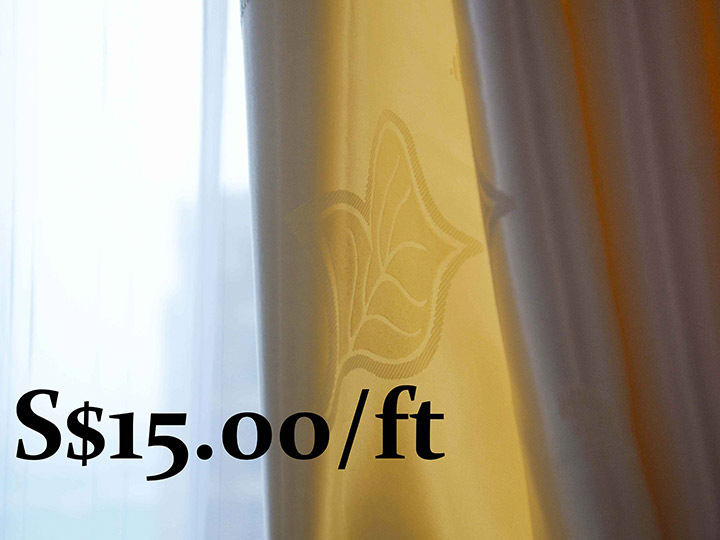 Beautiful Sheer Curtain gives you both privacy and enough nature light. In a concrete city, what is more pleasing than having a feel of village. 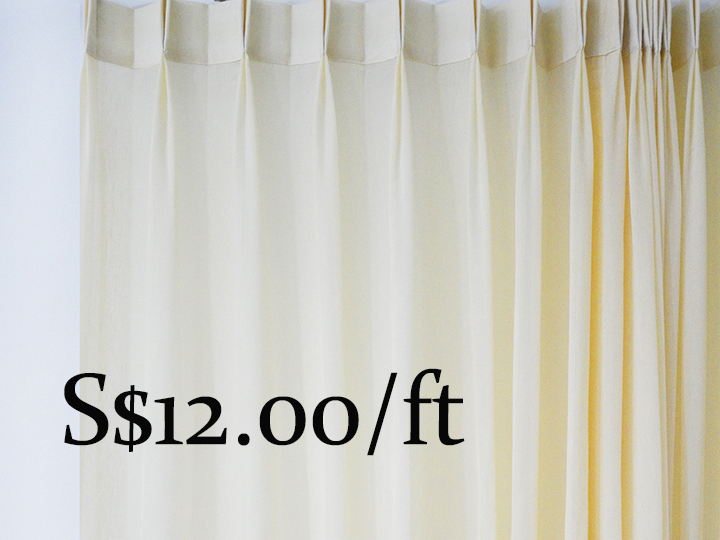 This curtain is designed specifically for those who look forward to village life. Simple, pure and fresh. Patterns of plum blossom. 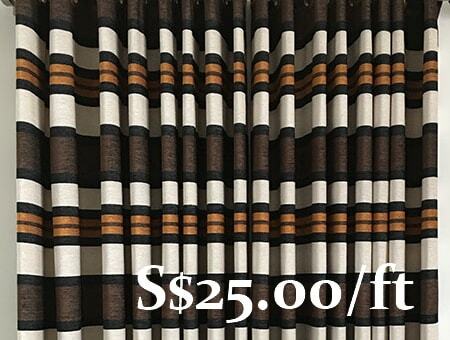 Curtain with this design delights us in every sense. 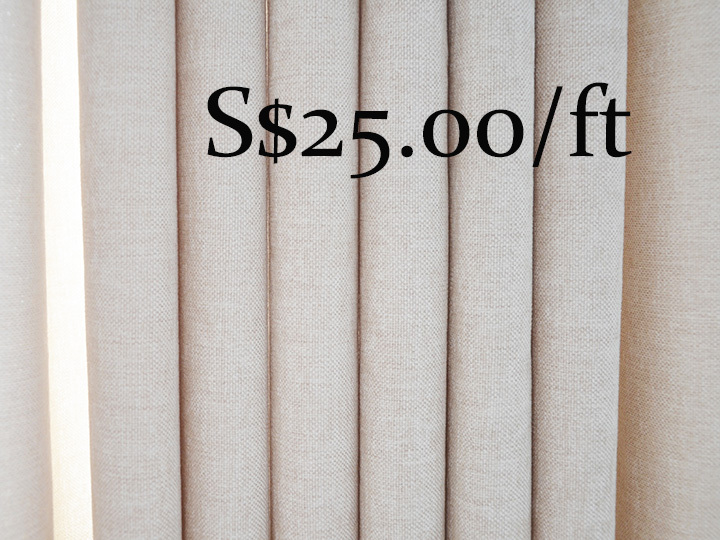 Choose this curtain for your bedrooms and you will be surprised with its compatibility. Curtains are the essential element of your house, selecting the right curtain colour and style creates more visual impact. 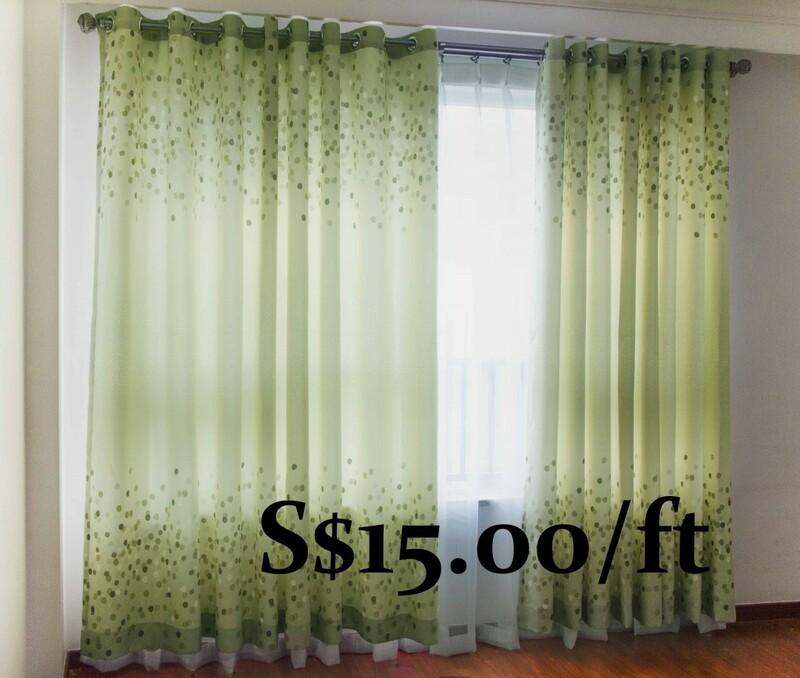 In Singapore, it is important to choose a curtain that is both eye pleasing and functional due to strong sunlight and closer building to building distance. 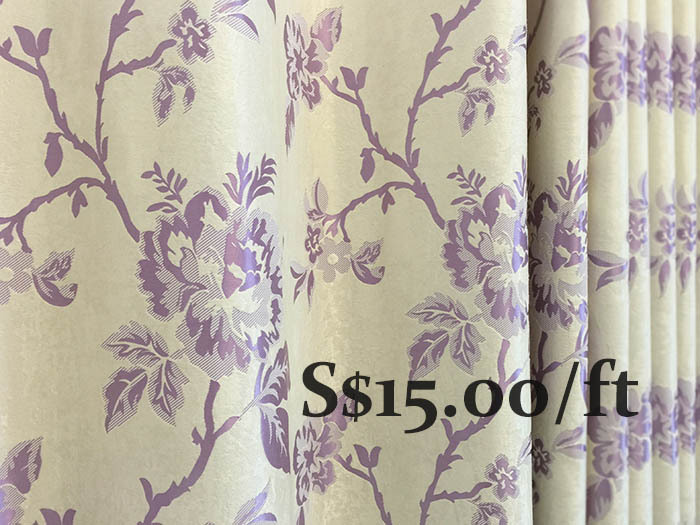 Ming's Living offers more than 1000 different kinds of day and night curtain fabrics, each can be customised to perfectly fit your window. 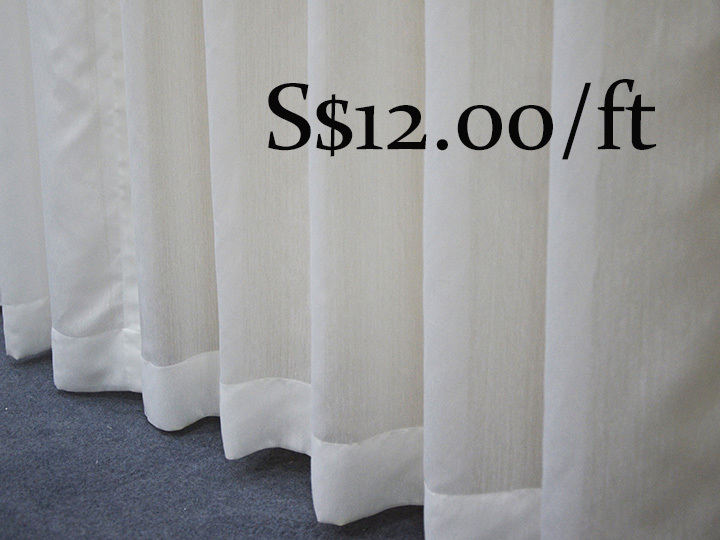 Blackout curtain: Curtains that have 80% light blocking efficiency can be considered as blackout curtain. 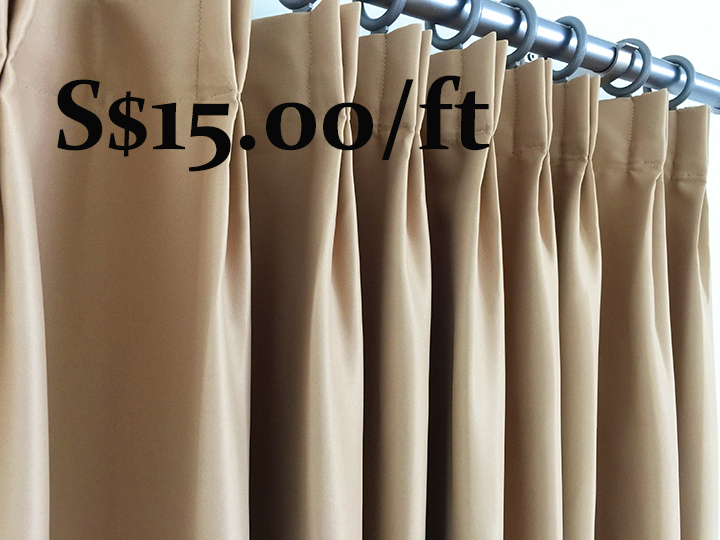 Blackout curtain is best for people who are very sensitive to sunlight while sleeping. 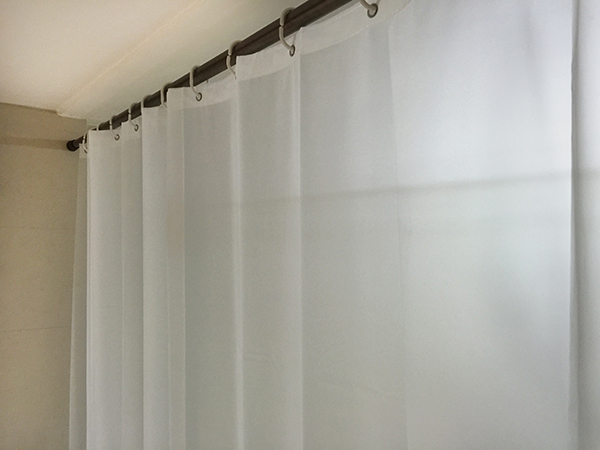 Usually bedrooms with strong morning sun are suitable to choose blackout curtain to block the light and heat. 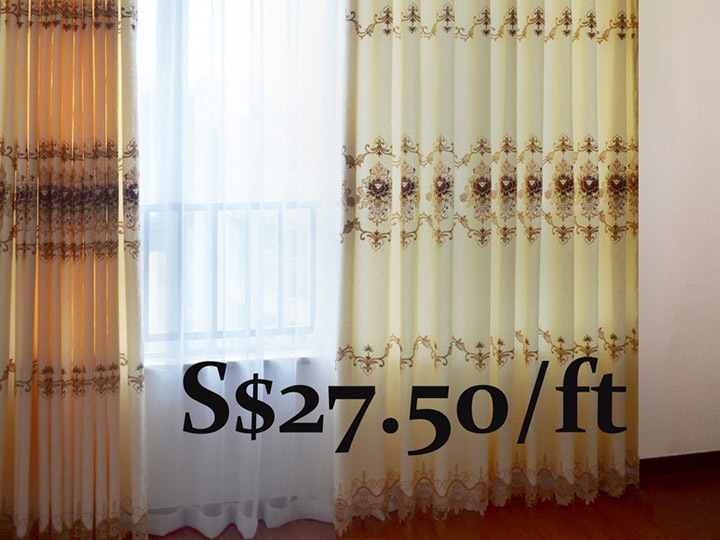 Partial blackout curtain: This category of curtains are both suitable for bedrooms and living rooms. It is best for people who would like to shield people from viewing in to your room and at the same time allowing room to be filled with certain degree of natural light. 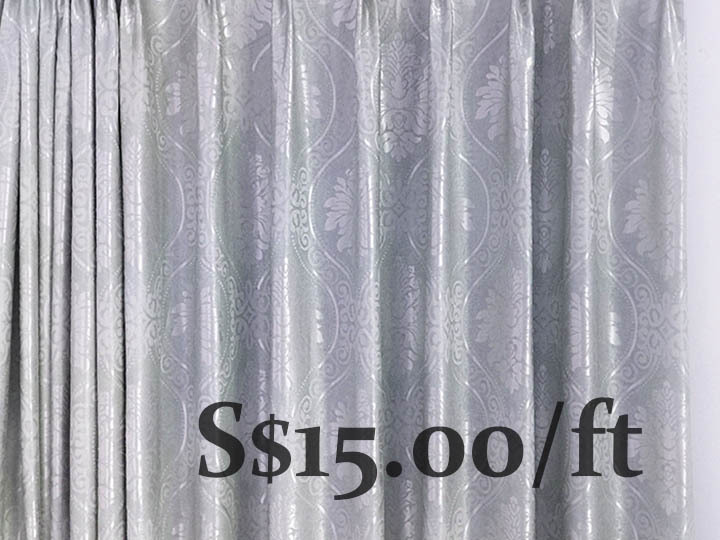 Sheer curtain: Sheer curtain is the best for humid climate like Singapore, a thin layer of curtain allows adequate amount of natural light to penetrate into room, removing moisture and unpleasant smell due to limited fresh air circulation. 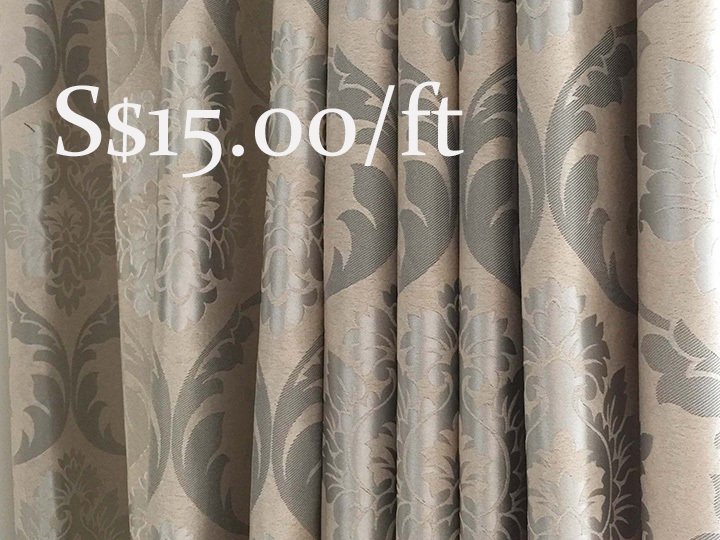 Plenty of beautifully designed curtains available in Ming's Living. You can choose different designs for your rooms to suit your different needs and themes.